Facebook is courting advertisers with a more precise way of targeting ads to the massive segment of users who will watch the World Cup this summer. According to a sales deck obtained by Ad Age, the social network is offering a segment comprised of users who have expressed interest in the World Cup to its biggest advertisers. It's the first time Facebook has built an audience segment specifically for a TV event, but if the World Cup test performs well, the concept could be extended to the Olympics, the Super Bowl and the Oscars, according to a person familiar with Facebook's plans. Marketers can currently target by interests like "soccer" or even "FIFA World Cup" (a segment that contains almost 45 million people, according to Facebook's ad tool.) The difference with the new test segment is that it will be updated daily to include people who aren't necessarily huge soccer fans but have been caught up in the excitement of the World Cup and started to post status updates or links to stories about the tournament. The fact that Facebook's cluster will be updated daily makes it look like part of the effort to challenge Twitter's supremacy in social TV, wielding its far greater global scale. Facebook has been keen to demonstrate to advertisers how much social-TV activity it actually hosts. It began working with a company called SecondSync in January to measure the chatter about TV that was unfolding on the lion's share of Facebook accounts where users have enabled privacy settings, but Twitter subsequently bought that company. The size of the segment wasn't disclosed, but it has potential to be massive. 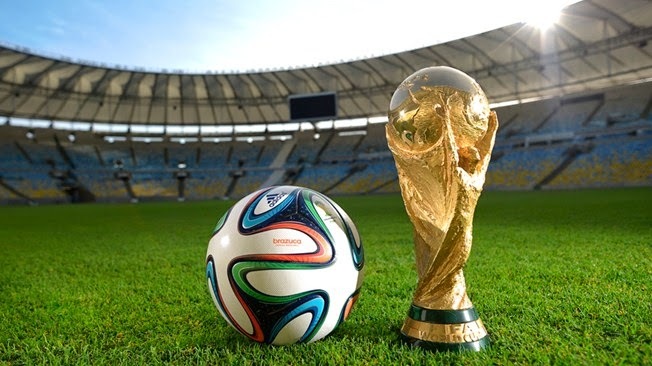 The World Cup's global audience dwarves the Facebook user base, according to research from FIFA, which said more than 3.2 billion people watched live coverage of the tournament for at least a minute in 2010. Facebook had 1.23 billion monthly users as of the end of last year. According to the deck: "Facebook is testing a new approach to targeting by creating one segment that will allow you to reach people cheering on this global football event." It goes on to say: "The targeting segment is constructed of team fans, people engaging with content about the event such as trending topics and public content, status updates about the event and more." The "global football event" audience segment will become available in late May in advance of the tournament, which takes place in Brazil in June and July. Other targeting parameters like demographics can be applied. Facebook isn't the only social-media company strategizing about how to get the most out of its ad inventory during the World Cup. Last July, Twitter was setting up a blind auction to sell daily promoted trends for the duration of the tournament -- the first time it had done so for a tentpole event. A Twitter spokesman declined to comment on how that had progressed.